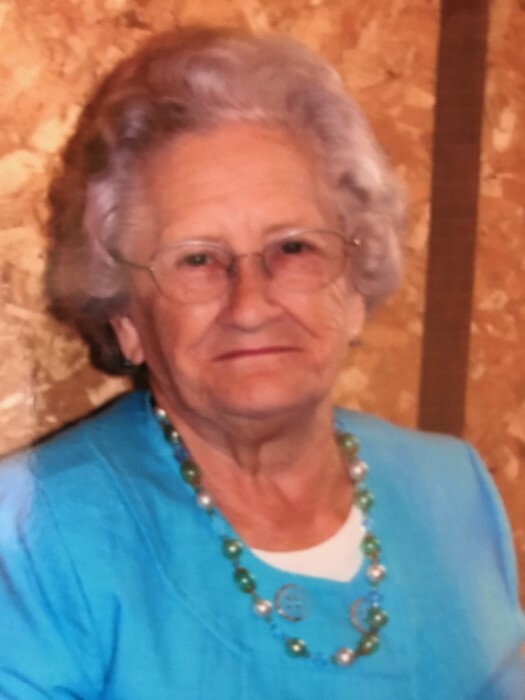 Josephine Blair Breeding, 85, of Jeremiah passed away Friday April 5, 2019, at the Whitesburg Appalachian Regional Healthcare Center. Josephine was the daughter of the late Rankin and Lucinda Smith Blair. She was the widow of the late John D. Breeding, Jr. Surviving are 1 Son: David Mark Breeding of Isom, Ky; 1 Daughter: Rhonda (Dean) Hays of Pinetop; 4 Brothers: Dennis Blair of Jeremiah, Ivan Blair of Van, Chester Blair of Middletown,Ohio, Danny Blair of Letcher; 6 Grandchildren: Henrietta Hensley, Casey Breeding, Dustin Hays, Nick Hays, Blake Breeding, Morgan Breeding; 10 Great Grandchildren: Zack, KarLee, Shelby, Nick, Hannah, Gracie, Melody, Conner, Kendra, Mason. Josephine was preceded in death by 1 Son: Greg Breeding and 1 Sister: Elva Crocker. Funeral 1:00 P.M. Monday April 8, 2019, at the Isom Presbyterian Church with Keith Adams and Others officiating. Visitation 6:00 P.M. Sunday April 7, 2019, at the Isom Presbyterian Church. Burial will follow in the Isom Cemetery. In Lieu of flowers family requests that donations be made to the Isom Presbyterian Church.